Climate change is real. The science is settled. And the best way to keep runaway climate change at bay is to keep fossil fuels in the ground – where they belong. 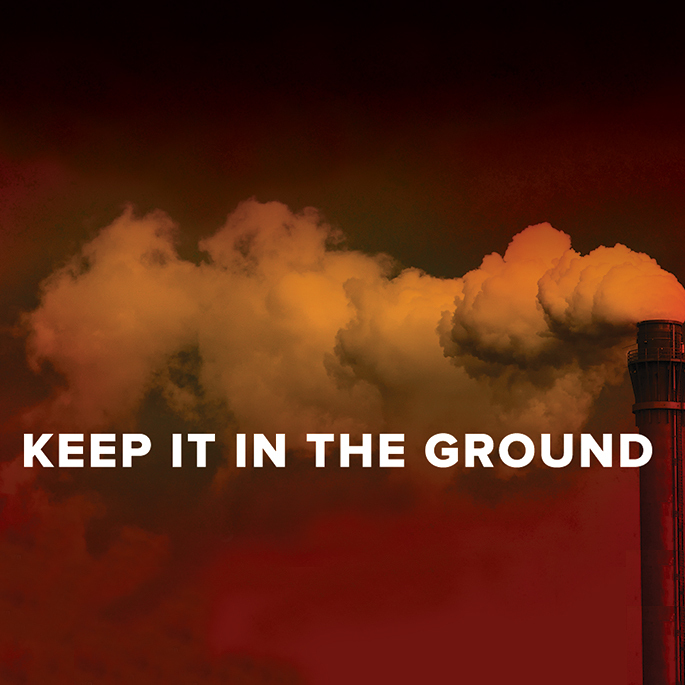 Across the world, activists, scientists and millions of people concerned about the future of our planet have joined the “keep it in the ground” movement – the global campaign fighting to keep fossil fuels in the ground to avoid the devastating effects of climate change. This incredible movement has worked tirelessly to move away from dirty fossil fuels to a 100 percent renewable energy future. Here at CREDO, we take climate justice very seriously, and our work to combat climate change – especially with our campaigns to keep fossil fuels in the ground – is at the heart of much of our activism work. We’ve launched – and won – campaigns to block coal export terminals, oil and gas pipelines, and other fossil fuel infrastructure. CREDO activists helped stop the fossil fuel industry from drilling and mining on public lands and waters. We’ve pressured universities, state governments and investment firms to divest from dirty and dangerous fossil fuel operations. Our members successfully helped to ban fracking in New York and Maryland through hundreds of thousands of petition signatures, tens of thousands of phone calls to key leaders and organizing thousands of CREDO activists to turn out for protests and rallies. In fact, we’ve gathered more than 17 million petition signatures to stop dirty energy projects and ensure fossil fuels remain in the ground. And through our donations program, funded by our members who use CREDO products, we’ve donated more than $19 million to progressive organizations fighting for climate justice and stronger environmental protections, like Earthjustice, 350.org, Rainforest Action Network and Friends of the Earth. While our #KeepItInTheGround movement remains stronger than ever, Donald Trump is working to turn back the clock by installing one of the most fossil fuel-friendly administrations our country has ever seen. They are working hand in glove with the fossil fuel industry to roll back decades of regulations to line the pockets of multinational fossil fuel companies. Trump and his cronies have announced plans to end the moratorium on offshore drilling. Republicans in Congress have passed legislation to open up the Arctic National Wildlife Refuge to oil and gas exploration and drilling. And Trump signed an executive order to restart construction of the Keystone XL pipeline. But we’re not deterred – not in the least. We will continue to activate the millions of CREDO activists to help us win even more campaigns to keep fossil fuels in the ground. We know that the future of our planet is at stake, and we must do everything we can to mobilize and take action before it’s too late.